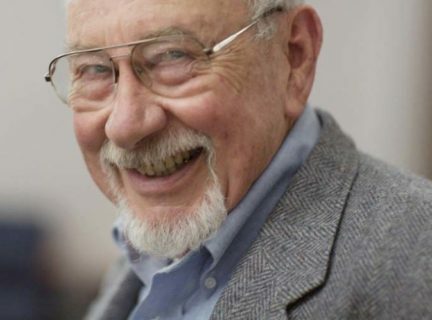 Edgar (Bud) Winans, emeritus professor of anthropology at the University of Washington, died in his Seattle home on July 14, 2017. He was a pillar of the Anthropology Department at the University of Washington, where he taught for half a century, retiring in 2003. Winans was an engaging and popular teacher at all levels, and he inspired generations of students with his broad knowledge and enthusiasm, his curiosity and concern, his wit and humor. He advised PhD students working in many parts of the world on all kinds of topics, but his own regional strength was East Africa. Together with his colleague Simon Ottenberg, he established an African Studies Program at the University of Washington. Winans was born in Salt Lake City in 1930 and grew up mostly in California, moving to a new school each time his father’s career as a railway electrical engineer sent him to a new job. Perhaps Winans’s charming sociability and adaptability were shaped in those early years when he attended 34 different elementary schools. He earned bachelor’s and master’s degrees and, in 1959, a doctorate in anthropology, from the University of California, Los Angeles. Winans carried out two extended periods of fieldwork, together with his wife Patricia and children, in (then)Tanganyika, exploring political, economic, and enviromental themes. His doctoral fieldwork in the Usambara Mountains, 1956–7, resulted in a monograph, Shambala: The Constitution of a Traditional State (1962). He returned to Tanganyika, as part of the Culture and Ecology in East Africa project, to work in Uhehe in the Iringa region of the southern highlands. He contributed to that comparative and interdisciplinary project on environmental adaptation, and in later years revisited his Hehe material to insightfully explore political themes of resistance to German rule and tensions expressed in hyena stories on the eve of independence in 1961. In addition to being a wonderfully supportive mentor, Winans was an outstanding academic citizen. He served as an associate dean at University of California, Riverside, where he worked for some years, and as department chair at the University of Washington. He published nearly 40 reviews of colleagues’ books and reviewed a multitude of manuscripts and project proposals. Winans’s anthropological engagement extended beyond the academy. With support from the Ford Foundation, he was twice posted to Kenya’s Ministry of Planning and Economic Development, where he worked side by side with Kenyan colleagues, and among other tasks helped to produce Kenya’s second five year development plan. He also served as a consultant for the International Labor Organization and held guest researcher positions in Norway, Denmark, and the United Kingdom. After the death of Patricia, Winans shared his last 18 years with his wife Janet (Whiting Levee), also an anthropologist. He is survived by Janet, his children, Gretchen Schreiber and John Winans, and his grandchildren, Kate Winans and Caroline, Kevin, and Catherine Schreiber.